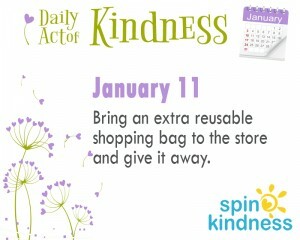 This idea came from Kathryn, one of our Kindness Ambassadors who shared it with us in November and later on her blog. You likely know that feeling of getting to the register and realizing you left your reusable bags in the car or at home. There’s a little guilt about taking a plastic one, but you don’t really want to buy more at checkout. 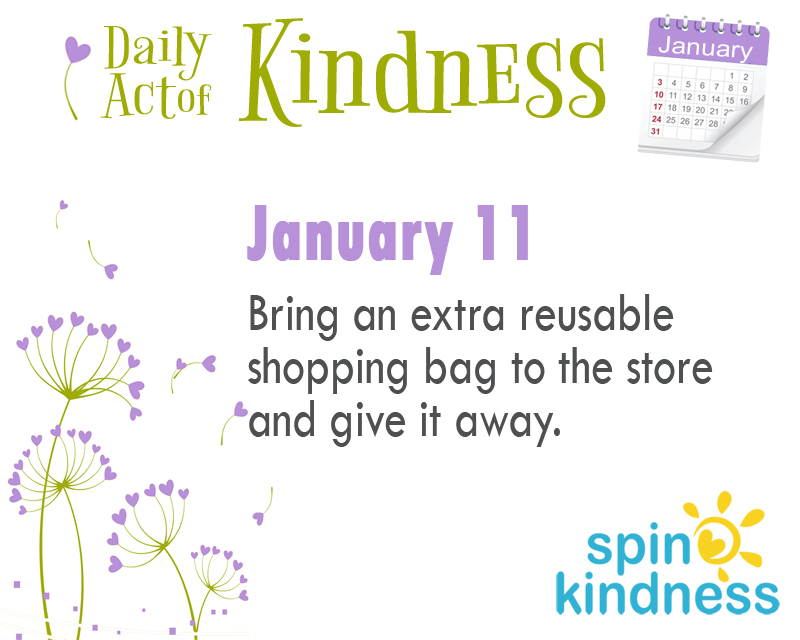 So, here’s a great act of kindness that may even help you remember to bring your bags. When you go shopping, take an EXTRA one or two to give to shoppers who forgot theirs. 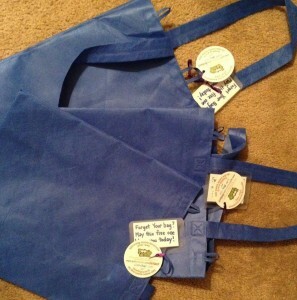 You could even store a stack in your trunk and include tags on them like Kathryn uses. What a fantastic way to be kind to others, and the planet!